Berkshires Living PLUS Urban Style! When you decide to invest in property in the Berkshires, you may feel uncertain about what type of Berkshire property to buy. Should you buy a condominium (condo)? A condo can be described as a cross between a single home on a lot and an apartment with neighbors close by. Exactly like a house, you buy the condo and own the condo. However, similar to an apartment, many of your maintenance needs are met by your condo association.Many condo owners, especially vacation condo owners, find it a relief that you don't need to worry about landscaping, yard maintenance, snow removal and roof repairs. A sense of community is another plus of condo life. Finding your neighbors are also your friends makes coming home something to look forward to. Everyone is a neighbor and arranging patio gatherings and social events is easy with the common room at Cable Mills. Nearby across the common green area is Cable Mills, a recently renovated and repurposed old red brick New England factory. Architectural designers have created unique condominiums within the old mill. The Cable Mills project was completed in 2016 and were completely occupied by December of 2017. Cable Mills condos are leased residences and will not be sold for some years. However, The River Houses are FOR SALE. New owners have much more more freedom to choose interior design. 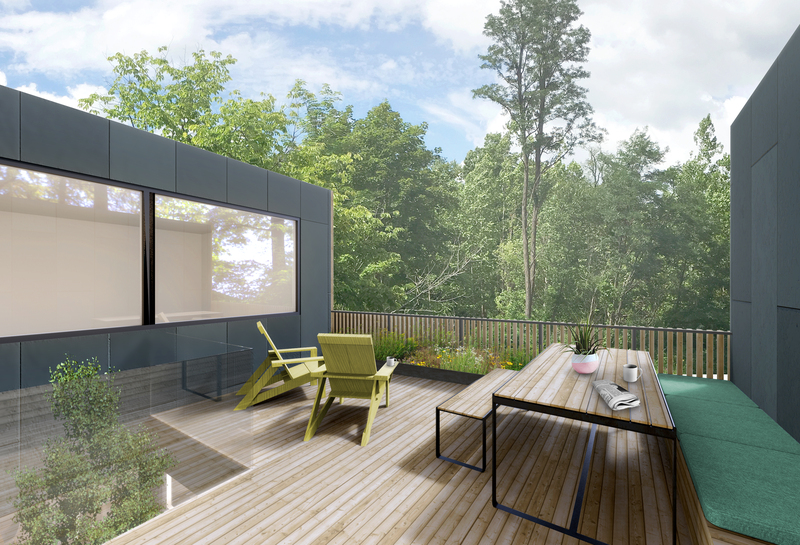 The River House Condos at Cable Mills virtually guarantees an active lifestyle. The Cable Mills and River Houses communities are as diverse and upscale as any Boston neighborhood with a large variety of age groups and interests. This unique development is truly Berkshire Living PLUS Urban Style! The totally new and very modern River Houses are situated along the Green River facing the paved Green River Walkway. The River Houses are within a minute’s walk to Spring Street downtown where you will find a multitude of restaurants, theaters, and cafes. Williams College is at the top of Spring Street just across Main Street. A slightly longer walk or bicycle ride will land you at The Clark Art Institute. A world renowned museum. The pride of The Clark’s collection consists Impressionists paintings, Degas sculptures, Rembrandt sketches and prints, rare and first edition drawings by American iconic artists, and decorative home arts and furnishings from the fourteenth to the early twentieth century. The River Houses at Cable Mills' will be professionally managed, and the owners will have access to a 24/7 phone line for emergencies. 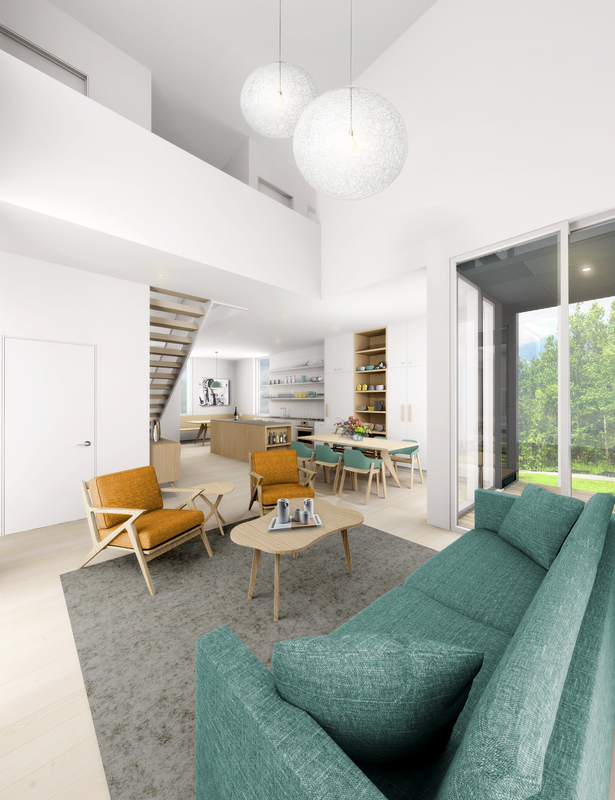 Green living has never been easier as these sustainable condos will include energy efficient light fixtures, water efficient plumbing fixtures, and renewable building materials. The River Houses are solar ready and include R-value construction for added energy efficiency as well as low VOC paints and sealants. The River Houses are also part of a smoke-free community. The River Walk is along the Green River and wonderful on-site events and receptions are hosted here. Features within the units are ground floor patios along with river and mountain views on the upper floor decks, over 9-foot ceilings, oversized energy efficient windows allowing for natural lighting, white oak flooring, tiled bathrooms, dual heating and cooling zone, gas fireplace (3-bedroom house), USB wall charging ports, to name a few! The modern kitchens boast flat panel, frameless cabinetry with high end appliances around a kitchen island for added counter space. Counter tops are suede finish, quartz siltstone. The River Houses at Cable Mills will be pet-friendly. We love our pets in Williamstown and have leash laws to assure the safety of every pet. 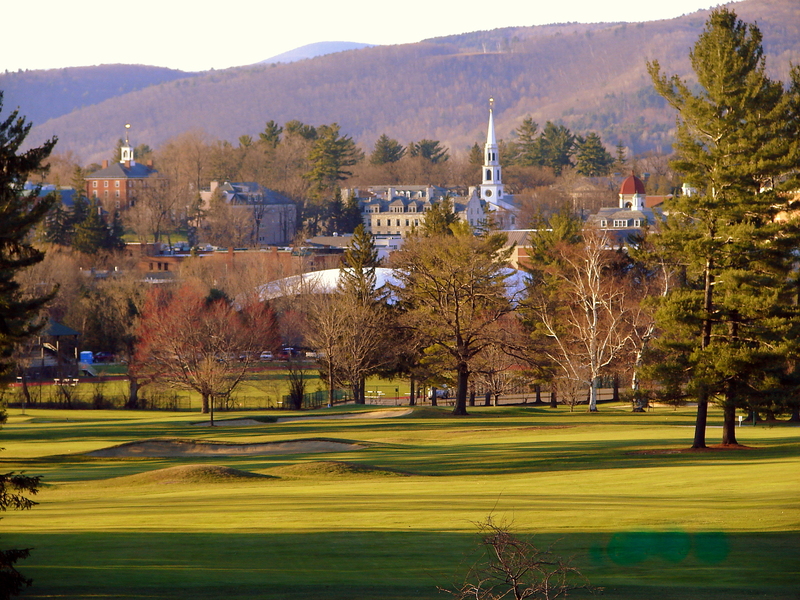 The River Houses are within walking distance from the Taconic Golf Club, a private golf course that happens to be one of the top collegiate golf courses in the USA. Also, within walking distance, one can frequent a specialty coffee shop that roasts their own beans and is their flagship store. Worth mentioning is the six-minute drive to the Appalachian Trail. Nestled in charming Williamstown, you will quickly find this is a beautiful, luxurious place to enjoy life. Williamstown (The Village Beautiful) which has earned a reputation for its arts and entertainment, community unity, internationally diverse restaurants, and beautiful New England purple mountains and rolling meadows. Weather in winter guarantees incredible opportunity for cross country skiing and hours on powdery slopes whether snow boarding or skiing. Summer weather rarely reaches above 80-85 degrees with low humidity. Call me today to learn more about this excellent opportunity for Berkshires Living PLUS Urban Style!